Complex brain circuitries have evolved as networks of excitatory and inhibitory neurons. In the cerebral cortex, for example, neural assemblies consist of excitatory pyramidal cells and inhibitory interneurons. Although neglected for a long time, interneurons are now recognized as essential elements in cortical function. 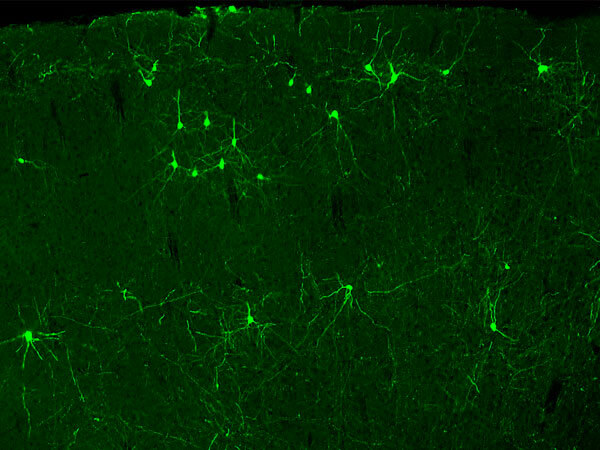 Through mostly inhibitory mechanisms, interneurons regulate the activity of pyramidal cells and prevent hyperexcitability. Interneurons also have important network properties, through which they synchronise pyramidal cells. In this EMBO Workshop, we will bring together world-class scholars with different perspectives on the biology of cortical interneurons. Our main goal is to encourage the interaction between experts with diverse backgrounds, from developmental neurobiology to systems neuroscience, to address some of the most pressing questions in the field. We will reproduce the format of the meetings we organized in 2009 and 2012, but focusing on a different set of questions. Experts will discuss the molecular basis underlying interneuron diversity, the impact of interneuron function on cortical operations or their very special cell metabolism and its possible relation to disease. Another important area covered in the programme is the function of specific classes of interneurons in the generation of brain rhythms, and their contribution to epilepsy, autism and schizophrenia.